I think I've mentioned before that there are no thrift stores in our neighbourhood, so getting to one requires either driving or taking public transit. So when Nick and I found ourselves in the car with a Value Village Thrift Store nearby, I asked if I could have a quick pop in. He had a book to read, so opted to wait in the car. I said I'd be back in 45 minutes, thinking that this was plenty of time. But when I looked down at my watch and realized I was still perusing the housewares aisles 30 minutes in, I knew I had to get cracking. Although thrifted kitchen things are my favourite finds, I still wanted to have a quick look at the accessories. I nearly never have good luck with thrifted clothing so when in a hurry, that was an area I just decided to bypass, except for a quick look at the skirts. Nothing struck my fancy. I certainly could have shopped longer, but having a time limit is kind of cool as it caused me to really make a beeline for the things I wanted to see most, rather than flitting around the whole store. And also, having a set time to shop also impacts how much you spend. I got all this stuff for under $20 including tax (around 13 pounds for my UK friends), which I thought was pretty good. 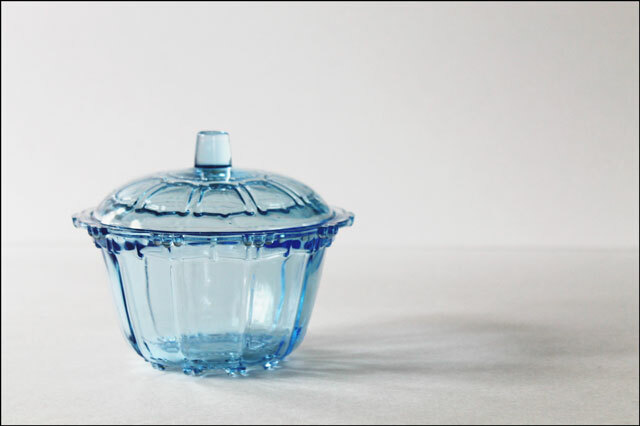 I'm not sure if this pretty blue glass dish is true vintage or new-made-to-look-old but I am a sucker for blue glass, so added it to my basket. While it is not made by Fire King it reminded me of their Philbe things, which are too expensive for me to collect. So I saw this as a 'get the look for less' find. 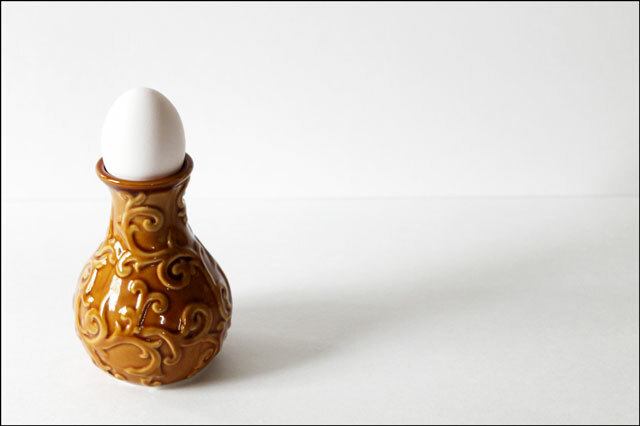 We'll be using it to serve condiments at the table. 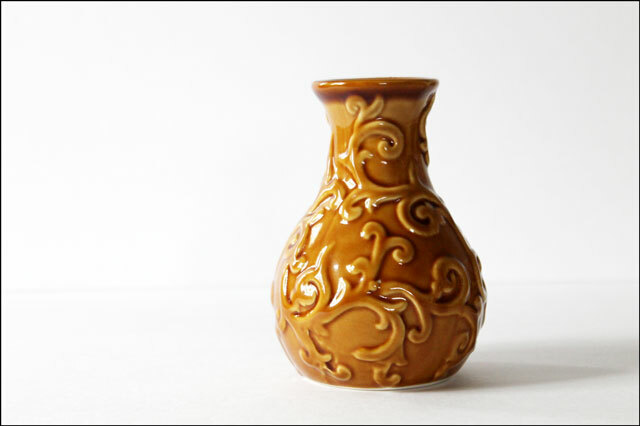 I like small vases as they allow for the displaying of small bouquets of flowers. Even a single blossom looks good in a small vase. So I picked this one up. 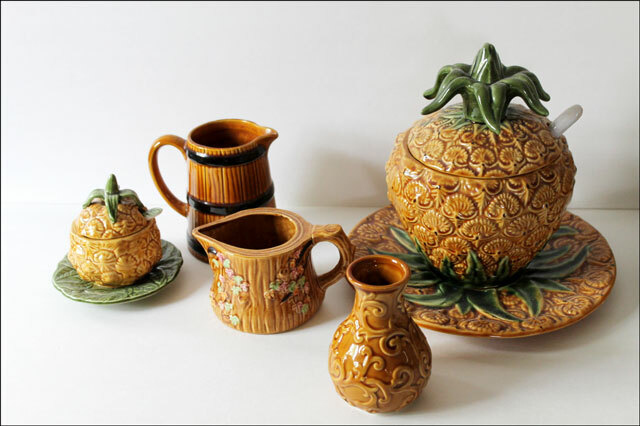 And look how nicely it goes with the collection of Majolica-like pottery that I already had. 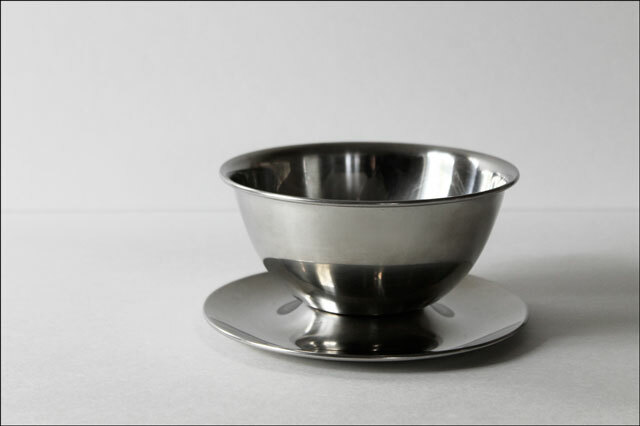 I am a fan of Oneida stainless steel items so when I saw this sauce-bowl I picked it up. I was actually looking at the same one recently on ebay for $20 plus shipping and handling costs, so for $2.99 this was a bargain. I like that it has an attached saucer plate, which is much better for passing around a table at dinner parties. 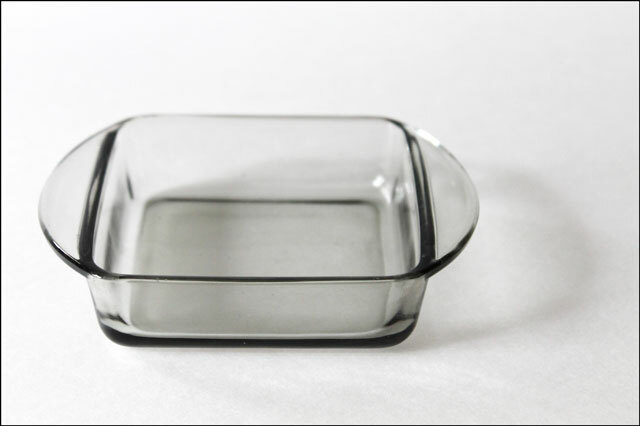 The final kitchenware piece I got was this square dish. On to the accessory I bought. I may have only found one thing I wanted in that department, but it was a good one! 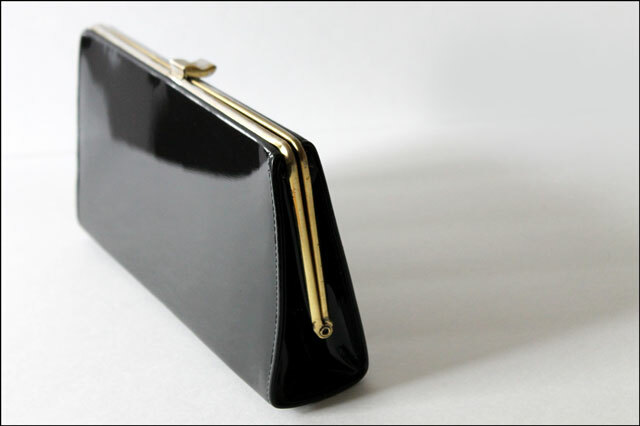 In all my years of shopping at thrift stores, I've never found a mid-century vintage purse, and let my assure you I have looked! 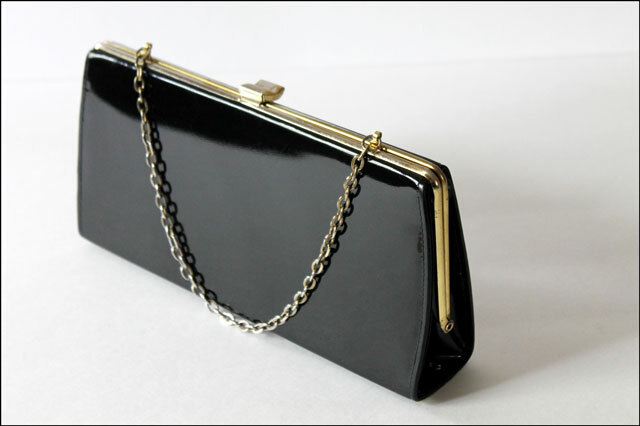 This little patent number can be worn with the chain-handle out or as a clutch with it tucked inside. So there it is. Since I stuck to my time limit of 45 minutes Nick said sure when I asked him if we could do the same thing again sometime. Now I am looking forward to my next mini thrifting trip. How about you? Any good secondhand finds lately? You did really well. 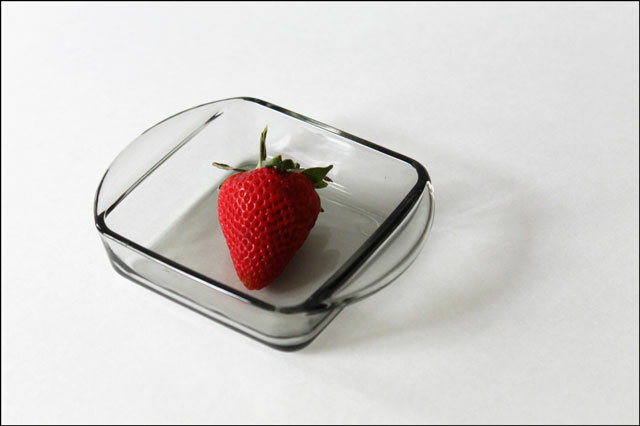 Your new bag is fab & I think the tiny dish is lovely – I wouldn’t have resisted that either. 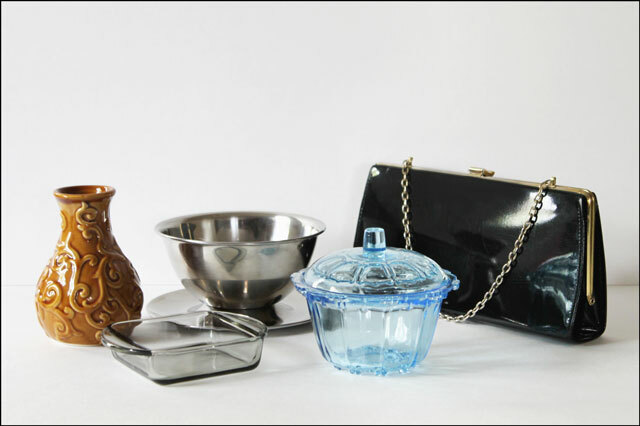 I love these finds, especially that simple black purse. I am also a sucker for colored glass. Glad I found your blog; you gained a follower. Love the blue glass and the clutch! And you got a lot for your money! Second-hand shopping is complicated in Madrid (not so many places plus quite pricey), but I have bagged some candle sticks and a couple of vintage dresses. I hope one day I will get round to blogging about the dresses. To make a fun outfit post (which I normally wouldn’t do). Wow Loulou! You really found some good stuff. My favorite is the bag. I would have scooped that baby up in a second. It looks to be in perfect condition. And what a classic design. You’ll have that one forever! I haven’t been before, but I’m planning on going this Sunday, to see what I can find. Flea markets aren’t as good of a bargain as actual secondhand stores like Value Village, but it’s still fun. Like the Sunday morning antiques market at St. Lawrence, or any garage sale anywhere. 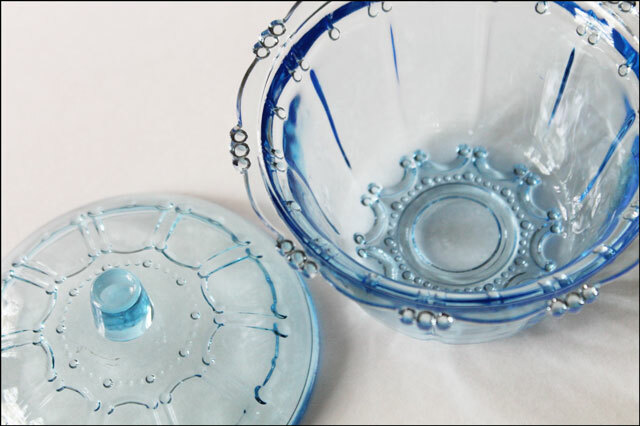 The blue glass is my favorite, it looks gorgeous!